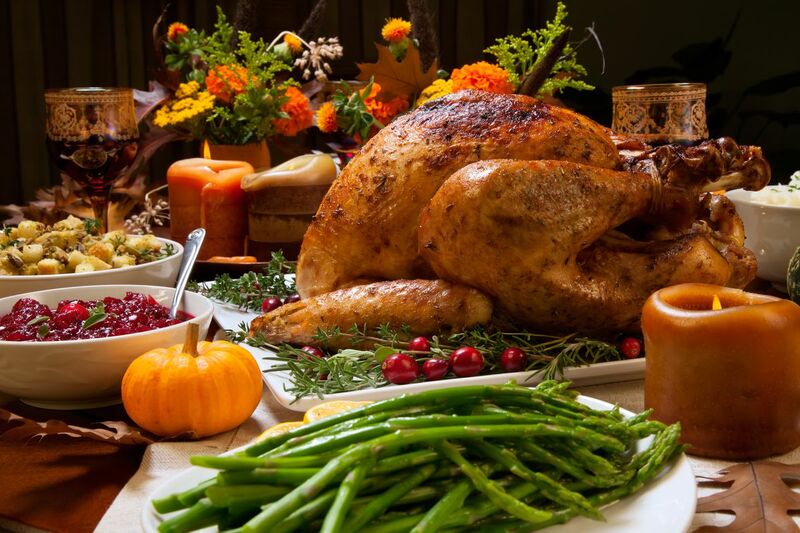 The story of Thanksgiving started in November of 1621. After the pilgrims from the Mayflower had their first successful harvest, they decided to organize a three-day feast to celebrate. This feast was had every time there was a successful harvest. The holiday remained this way until a debated date. An article I read said that in 1789 during the American Revolution, George Washington presented Thanksgiving as an annual and national holiday. Another says Thanksgiving was not a national holiday until the 1860’s, when Abraham Lincoln declared it as a thank you for Civil War victories. To this day we celebrate this feast but we really don’t know when or how it became what it is today. Notice in the history of Thanksgiving I never mentioned turkey. This was because turkey was never actually mentioned by the pilgrims. Many historians believe that serving turkey on Thanksgiving was not a tradition set by the Pilgrims. Instead of serving turkey, many believe they had deer and other types of animals hunted at the time. To me, this was one of the most shocking facts. According to the National Turkey Federation, about 90 percent of Americans eat turkey on Thanksgiving. After seeing this, I decided to research some more foods that were not included in traditional Thanksgiving– shockingly almost everything we eat was not included. There were no mashed potatoes, cranberry sauce, stuffing, or pumpkin pie. What I also found very shocking was that nobody really knows how we came to believe that all these foods were traditional Thanksgiving foods. Many people have theories and conspiracies but there is no real way of knowing where or when we decided that we should eat turkey and pie for Thanksgiving. Another thing that was very misleading to children, myself included, was that there was never evidence of the natives being invited. We all think of Thanksgiving as the time to sing Kumbaya and get along with each other like the natives and pilgrims, but did they really get along? It does make sense that the pilgrims would not have invited the natives as a type of foreshadowing for what was to come in later years. Although these facts are still a mystery to us, it is fascinating how almost all children’s books and stories include the pilgrims and natives feasting together in celebration. The first Thanksgiving we know was not the first Thanksgiving ever hosted. There are many stories about other civilizations around the world who have celebrated a harvest and gave thanks. One example is Canada’s Thanksgiving, in 1578, when an explorer named Martin Frobisher arrived in Canada and celebrated the harvest every year on the second Monday of October. There are many more examples such as China’s Mid-Autumn Mood festival, Korea’s celebration to give thanks, Ghana’s Homowo Festival, and many more. So why do Americans hang onto this holiday like they had a revolutionary idea? We actually don’t know why; maybe they didn’t have a name for it, maybe they didn’t realize everyone else also does this, but either way the Americans were not the only or the first to come up with the holiday idea. On top of all this we have our first world problems with Thanksgiving, like that Christmas has basically taken its spot, you have to awkwardly talk to your extended family, it is all about shopping, and it is known as a time to eat excessive amounts of food. But at least we have three days off school. Salam, Maya. “Most Everything You Learned About Thanksgiving Is Wrong.” The New York Times, The New York Times, 21 Nov. 2017, www.nytimes.com/2017/11/21/us/thanksgiving-myths-fact-check.html. editors , History.com. “Thanksgiving 2018.” History.com, A&E Television Networks, 27 Oct. 2009, www.history.com/topics/thanksgiving/history-of-thanksgiving. Wulff, Alexia. “Why (Almost) Everything You Know About Thanksgiving Is Wrong.” Culture Trip, 10 Nov. 2016, theculturetrip.com/north-america/usa/articles/why-almost-everything-you-know-about-thanksgiving-is-wrong/.